Welcome to another edition of Throwback Thursday where I highlight a post from the way back machine. The rule is that it’s supposed to be at least 30 days old, but because FOG has been around since 2009 and I have a ton of posts to choose from, I’ve added the stipulation that it be written on today’s date. Today’s post was written two years ago today. It’s a short piece of autobiographical fiction and it was Freshly Pressed back when that was still a thing. A bit of a warning: it’s bumpy ride. Click here to see other Throwback Thursday contributions. She was lying on something uncomfortable. Without opening her eyes, she reached beneath her and pulled out a large stick. She’d never been any good at waking up. It took a long time for the neurons to fire properly. Like a classic pickup truck in winter, you had to let her idle for a while before putting her in drive. The sleepy neurons fired just enough to trickle a lazy question into her consciousness–why was there a stick in her bed? 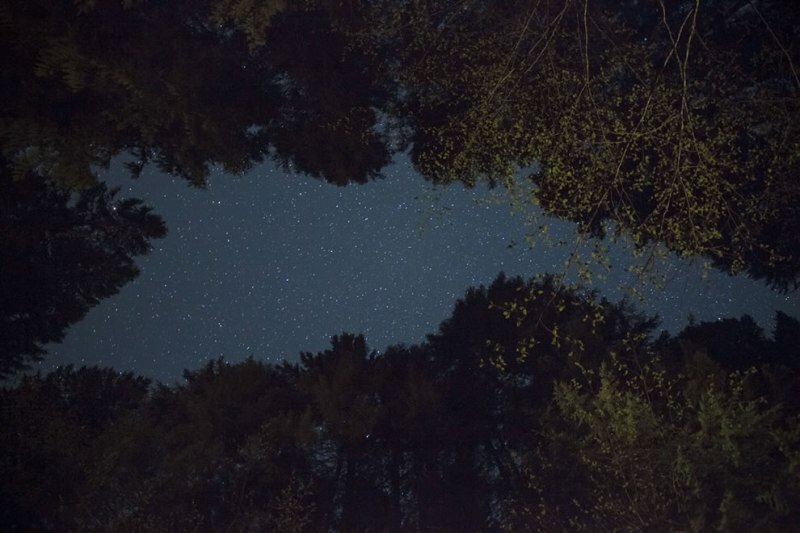 She opened her eyes and saw a canopy of trees and a billion stars. She quickly closed them again since that’s not at all what her bedroom ceiling should look like. Posted in reblogs, Throwback Thursday and tagged fiction, Throwback Thursday. Bookmark the permalink. That was such a moving story, Fishy. Big hugs. Exactly! Its a scam. Even the Discover thing, same people and similar kind of post featured repeatedly. Any time at discover, you find just the same wordpress admins out there. It was a big thing earlier, now I don’t even care. You want to do a guest post about this? I am up for it.